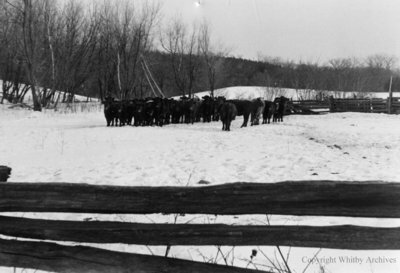 A black and white photograph of a cow pasture on the future site of the Miniature Village at Cullen Gardens and Miniature Village. Cullen Gardens and Miniature Village Inc. ; Weall and Cullen Nurseries Inc.
Cullen Gardens and Miniature Village, 1967, Photographer Unknown. Whitby Archives A2013_042_094.